And so each venture is a new beginning, a raid on the inarticulate, with shabby equipment always deteriorating in the general mess of imprecision of feeling, undisciplined squads of emotion. And what there is to conquer by strength and submission, has already been discovered once or twice, or several times, by men whom one cannot hope to emulate- but there is no competition- there is only the fight to recover what has been lost and found and lost again and again: and now, under conditions that seem unpropitious. But perhaps neither gain nor loss. For us, there is only the trying. The rest is not our business. As Howard’s meticulous eye for detail continued to develop, so did his ability to master the various tools of the art of sculpting. 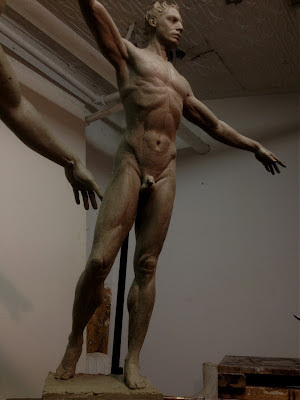 He works from direct observation of the live model, but often in his preparation drawings and early clay molds he mixes parts of various models’ bodies to achieve the effect he envisions. His studio houses armatures of steel bars forming a stick figure to which he applies Styrofoam to begin the shape and then molds his creations in plastiline clay. From clay he concentrates on the details his art illuminates, shaping and forming the sensuous appeal he views to be an ideal human form of sinews and curves, arriving at a metaphysical realism that edges towards abstraction: ‘I use design systems based on vortices and spirals. Those are ways energy travels through the bodies.’ His process is also additive: ‘The human body is based on a convex system where everything is pushing outwards from an internal pressure. So if this pressure is recreated in sculpture, you are actually showing the internal pressure of a human being: the spirit and the soul.’ A plaster cast is made, one of many parts that will allow the transformation of the perfect clay mold to the final stage at the foundry where the intensive lost wax method is used to form the final bronze stage of each work. For those unfamiliar with this complex method, it can be summarized as follows: First, the clay figure is covered in rubber and a hard outer shell. This forms a mold. Then wax is applied inside the mold, which is removed and reused, while the positive wax figure that results is covered in a ceramic shell. The wax inside this shell is melted away in a burnout kiln, and liquid bronze is poured in the void. 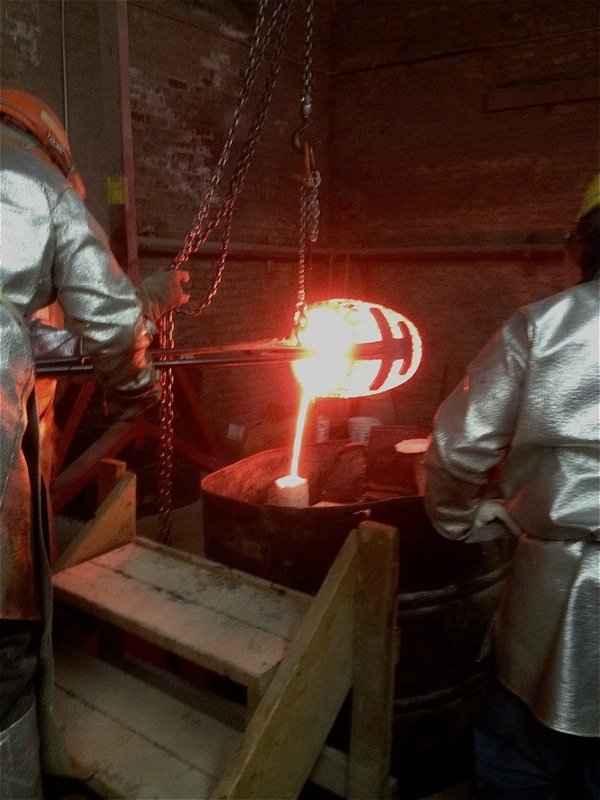 Once the metal hardens, the shell is chipped away, and the resulting bronze statue is covered in an oxidizing glaze and finished by hand. 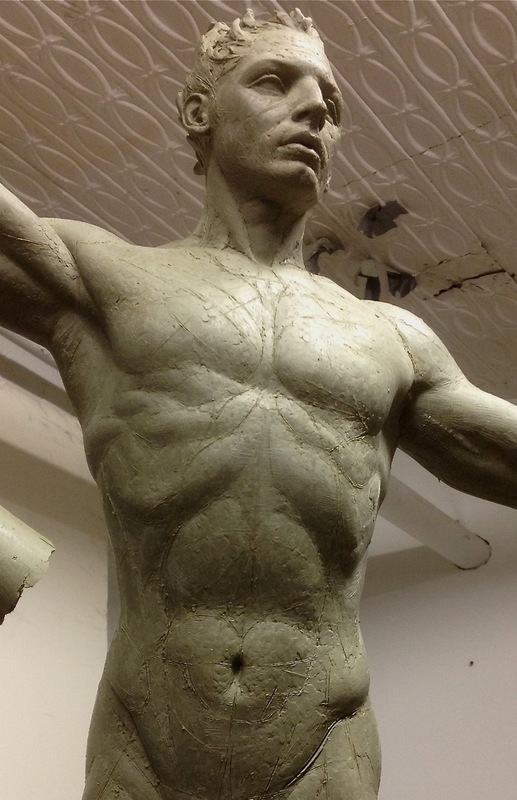 And as the completed bronze sculpture finally emerges it must be brought to life by extensive patina work. 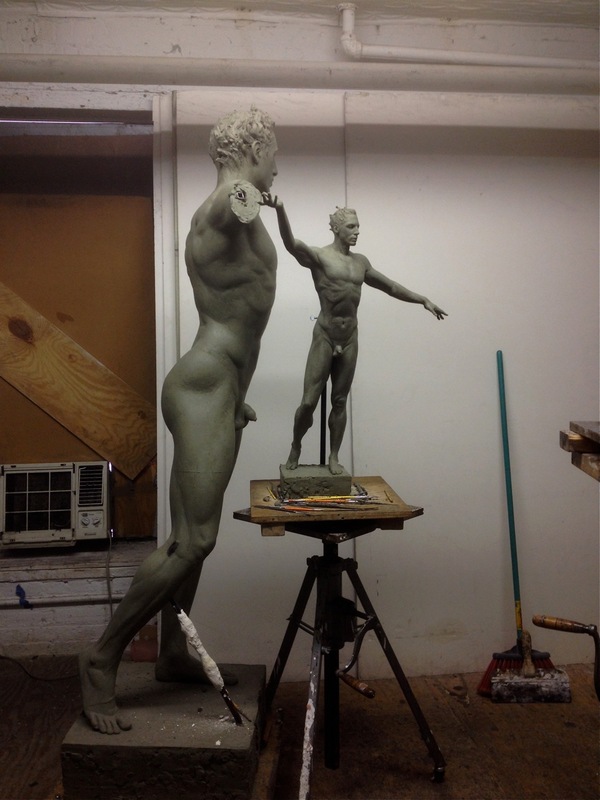 The Pygmalion process takes countless hours of labor, but the art of Sabin Howard is an act of passion, solitude, devotion, and commitment – the evidence is the degree of perfection his works represent. 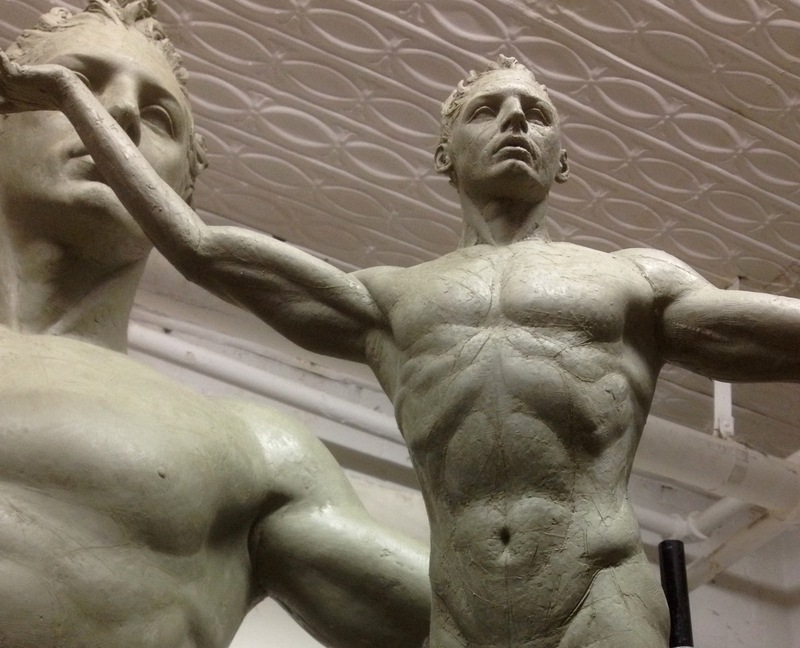 !SABIN HOWARD: Contemporary Sculpture with the Soul of the Ancients!